Finding a good pair of jeans that fit well and look good is tough. 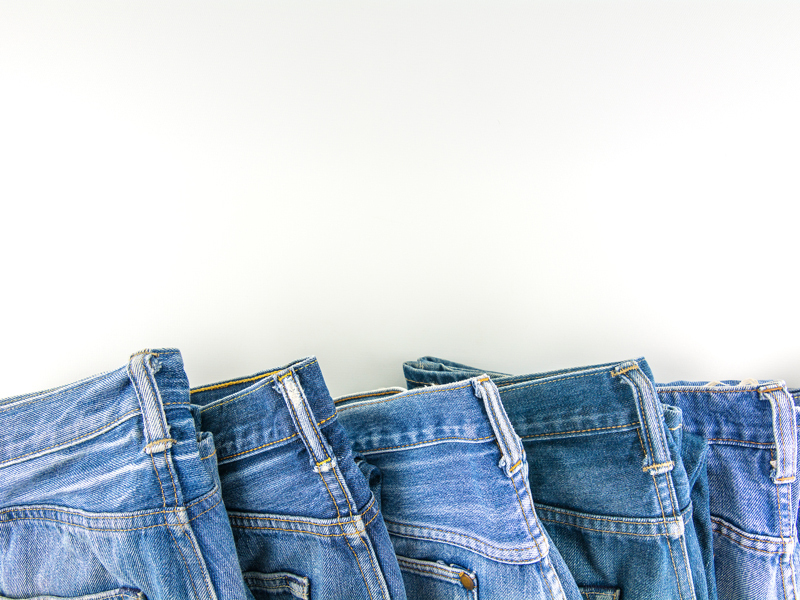 Taking care of your favorite pair of jeans is really important to maintain their shape and color. 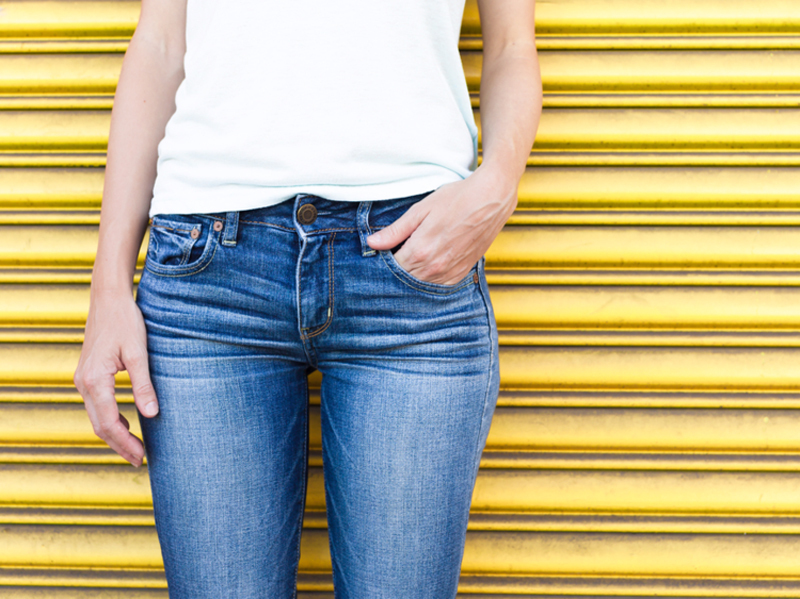 INSIDER spoke to a cleaning expert about how to wash your jeans the right way. Finding comfortable, high-quality jeans can be a lot more challenging than it should be, so when you find that fabulous pair you love so much, you'll want to do everything you can to care for them properly. INSIDER spoke with a cleaning expert who told us how we're washing our denim wrong, and how we should be caring for them to ensure that they stay clean and vibrant through years of wear. You're wearing them right after cutting the tags off. Getting a fresh new pair of jeans is exciting, and we can't blame you for wanting to wear them immediately after bringing them home. However, Mary Gagliardi, Dr. Laundry and Clorox cleaning expert told INSIDER that "this is the biggest mistake" people make with denim in general. "Not washing a brand new denim item separately the first few times you wash it," is a major no-no, according to Gagliardi. She said that "new denim can bleed a lot of dye into the wash water the first few times it is washed, which can cause dye to transfer to the other items in the wash. 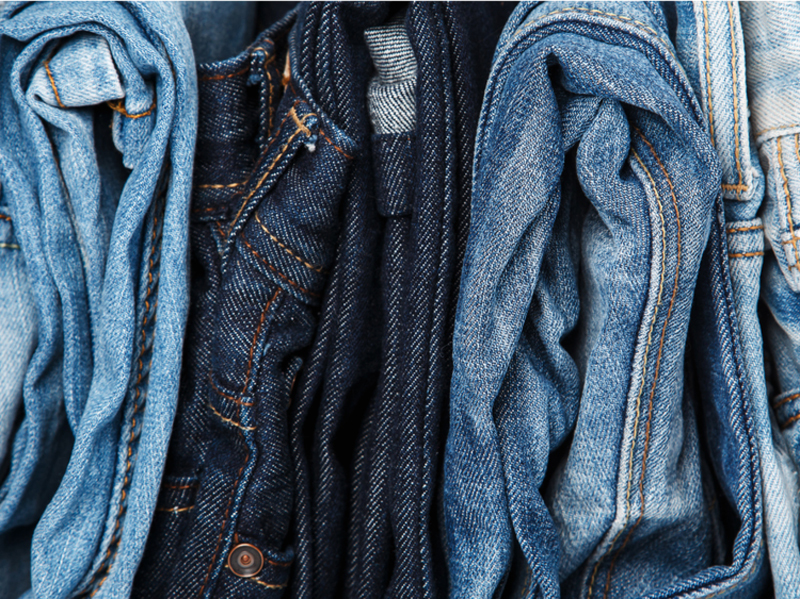 Washing a new denim item alone helps give you an idea of just how much of a problem with color loss there is, and how soon you can safely sort the denim item into a load with like colors." You're not washing them after the first wear. You should definitely be washing them before the first wear, but you should also wash them after your first wear, too, because there's still a risk for dye transfer, Gagliardi told INSIDER. 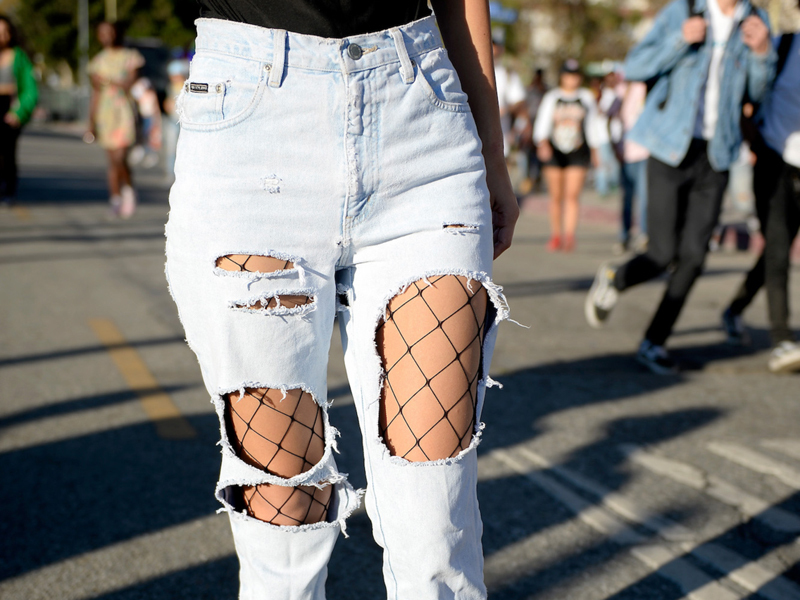 "Not washing new denim before you wear them risks color rubbing off the denim onto anything else you are wearing that touches the denim, and even the upholstery in your car ... this can be made worse if the fabric gets wet while you are wearing it," she said. You're not washing them separately from other clothes in those first few washes. Few of us are likely to separate our denim from other garments, but in those early days, Gagliardi said that this is a mistake. "The first time you wash a brand new pair of blue jeans, wash them separately. Of course, denim varies from brand to brand, but in general, new denim can lose a lot of color into the wash water. Washing them separately means no risk of dye transfer to other items, especially dark items with some other color like a striped shirt, in the load." You're washing them after each wear. Washing denim too frequently will cause color fade, and much of that is based on personal preference. As Gagliardi told INSIDER, "Washing denim garments each time you wear them will help get a nice soft fade sooner than later, especially if you have a favorite pair you wear frequently. Tumble drying will help with fading, too." She recommended "letting your white denim be your guide - white denim jeans/capris keep no secrets the way indigo denim does. Depending on one's wearing habits and environment, they may be too dirty to wear again after just wearing them once, or maybe they can make it for a few more wears before washing. It really varies depending on the individual habits of each person." You never wash your jeans. As denim is typically sturdy and forgiving of common stains, some people admittedly never wash their jeans. Gagliardi told INSIDER that this is fine, but you may experience color loss as the jeans get soiled by normal wear and tear. "For the people who never wash their denim, their goal is usually to maintain as much of the original color as possible, yet also achieve unique fading effects. When dirt is allowed to remain on the surface of fabric without being washed away, it causes fading. That's because the soils break down, and as they do they can cause color loss," she said. You're putting them in the freezer in lieu of washing. Another internet hack recommends putting jeans in the freezer as a way to "freeze" bacteria, cleaning your denim without risking color fade or dye transfer in laundry machines. However, this is only a temporary fix, said Gagliardi. "Putting denim in the freezer can reduce malodors from denim that hasn't washed. Since the denim isn't actually cleaned by freezing, it won't take long before bad smells return when the denim is worn again, " she confirmed. You're throwing them in without sorting by color. Some people swear by sorting colors whilst others simply can't be bothered. Gagliardi explained that it really depends on the hue of your denim to determine if separating is necessary. "Denim comes in a range of colors and weights. 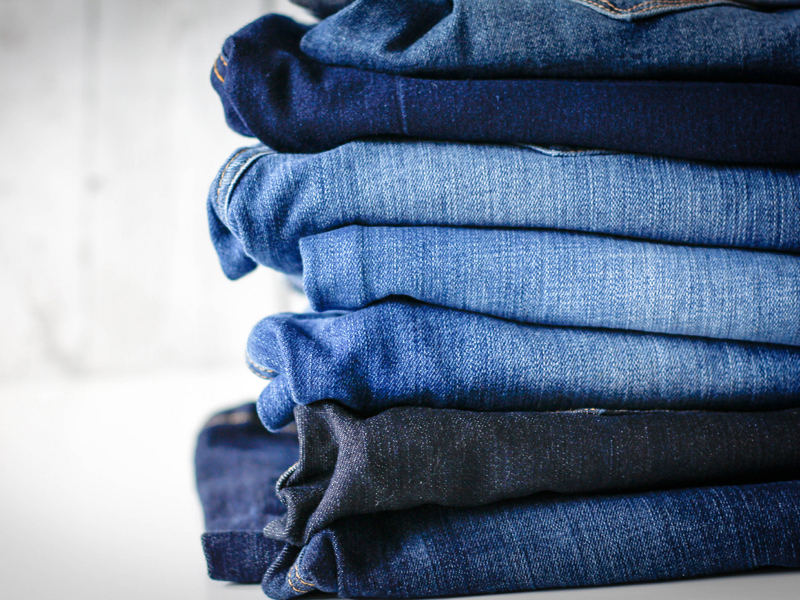 Some lightly colored lightweight denim fabrics are perfectly fine to sort into a light-colored load, especially after you have washed an item separately to confirm it won't lose color in the wash water. Heavier, darker denim can discolor a lighter load, so be sure to sort properly to avoid dye transfer," she told INSIDER. You're not using the right settings on your machine. Even brand new, high-efficiency machines require a little bit of care before running a load of laundry, so taking a beat to learn your machine's specific settings is never a bad idea. "Denim is a very sturdy fabric that can handle the heavy duty cycle, longer wash times, faster spin speeds, and higher wash temperatures to get the fabric really clean," noted Gagliardi, "These wash conditions will also accelerate fading, so if that is a concern for you, select a lower wash temperature and turn the denim item inside out." You're not changing settings based on fabric color. Gagliardi told INSIDER that "in general, dark items will maintain their color longer when washed in lower temperatures. They also won't get as clean because the higher the wash temperature, the better the cleaning. To balance optimal cleaning with color retention, select a heavy duty cycle and a warm wash temperature." You're not treating stains the right way. The best course of action for tackling a stain is to pre-treat and wash as quickly as possible, ideally before the stain sets. "Different stains benefit from different pre-treatment methods," said Gagliardi,"some stains benefit from rinsing first with cool water like blood whilst others do not like greasy food stains. Stains can be harder to get out when washing in cold water, so pre-treating … is always a good idea. Just make sure you don't leave a pre-treater product on too long before washing." You're not using the right detergent products when laundering. 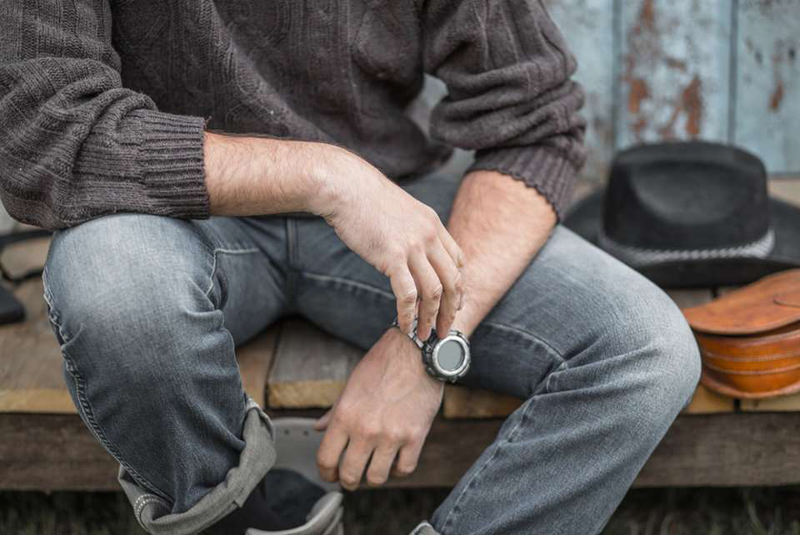 Although denim might be sturdier than other garments, you'll still want to proceed with caution when it comes to product use. Gagliardi told INSIDER that, "since denim typically recommends cold wash temperatures to help maintain the color, washing with detergent alone is a big mistake. Getting your denim as clean as possible actually helps maintain the color because soil that isn't washed away breaks down on the fabric and actually causes color loss." Be sure to use a color-safe bleach if you prefer to add bleach to your detergent as well. You're using too much or too little detergent. "Using the correct amount of detergent and laundry additives is always important regardless of the type of laundry you are washing," said Gagliardi. "First, start with your clothes washer - if you have a high-efficiency clothes washer, then you must use a high-efficiency detergent. Traditional detergents make more suds, and are appropriate for traditional deep fill washers." She added, "Follow the directions on the package to use the right amount for both the amount of laundry you are washing, and how lightly or heavily dirty it is. Don't under-use... under-using detergent means you won't have enough cleaning agents to get clothes clean." Similarly, don't be too generous with those suds wither. "Over-using is a problem, too - using too much can cause too many suds, which lowers cleaning performance. 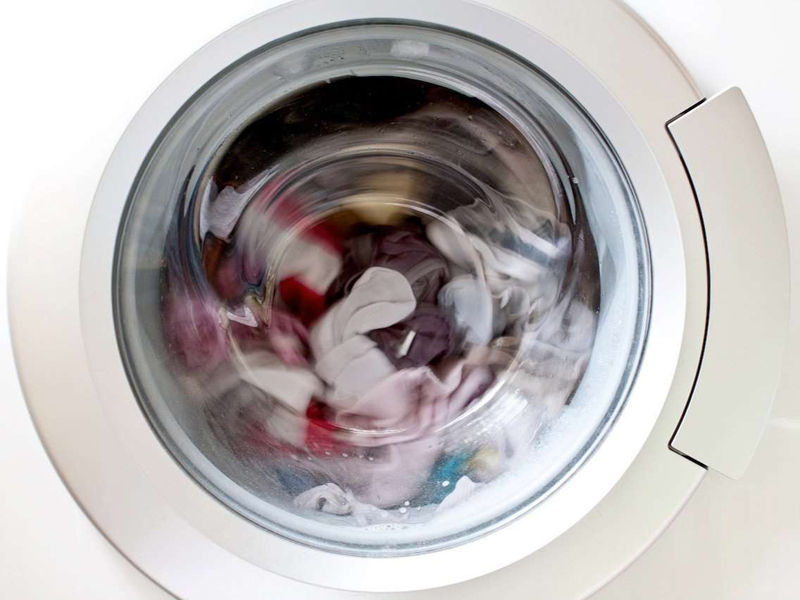 It also makes it harder for the clothes washer to rinse away the detergent, which can be a magnet for more dirt if it is left behind on the clothes," Gagliardi told INSIDER. You're not turning denim inside out before loading into your machine. The ideal way to wash denim involves turning it inside out, which makes sense, given that the inside of your jeans is what sees sweat and natural oils from your skin. However, it's also the best method for keeping your desired color in check. "Washing denim inside out reduces the rubbing the denim will experience from tumbling or being agitated alongside other items in the wash load. Over time, the rubbing can cause more color loss, so turning denim inside out is a good idea to help maintain the color if that's important to you," said Gagliardi. You're not hand-washing denim, especially at first. Still, she added that "overall, the denim won't get as clean as it would in a clothes washer." Putting denim in the dryer is fine if you're okay with some shrinking and fading. Again, this is purely based on personal preference, Gagliardi told INSIDER. "If you like tumble drying your denim, then you are probably just fine with some shrinkage and extra fading. On the other hand, if you hang your denim to air dry, you can limit shrinkage - which is nice if you want to use warmer wash temperatures for cleaner denim - and help maintain darker colors," she said, "to limit shrinking and fading, hang your denim to air dry."